Our customers come back time and time again for Snickers Workwear. 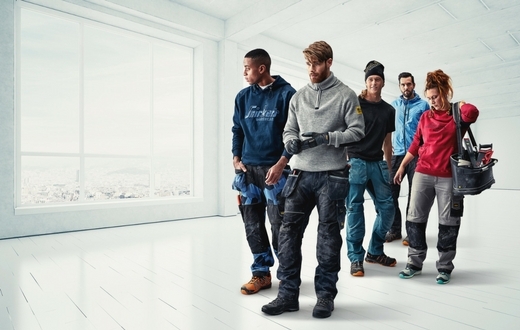 It is one of the leading brands in the workwear industry in Europe and is represented in more than 20 countries. For more than 40 years Snickers Workwear has been driving the development of cutting-edge workwear based on the real needs of skilled craftsmen who have to be able to rely on their gear. Founded in Stockholm, Sweden in 1975 by an electrician, today Snickers Workwear is owned by Hultafors Group. Their focus is on developing and offering the ultimate work wear for professional craftsmen - helping them to work easier, safer and more productively. Their development department works closely with craftsmen in Europe to explore present and future needs for highly functional work wear with the best comfort and long durability. Cutting-edge workwear requires cutting-edge testing. And nothing beats reality. Snickers work closely with the best test laboratories and institutes in Europe to ensure that their garments meet customer expectations. Not only that but, as well as test laboratories, the ultimate tests are carried out by our Test Crew – demanding and hard-working professionals who really put the prototype garments and new designs to the test. See some of the range available in our online shop or contact us to order any item from the Snickers Workwear catalogue.